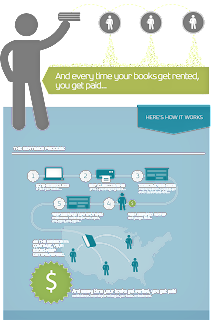 I love the idea of book rental! I wish it had been around when I was in college. I love CampusBookRentals.com. They offer a great way to save money for college. I wish they had it when I was in college too! This is a wonderful idea I simply love anything that can help us to save money it means more room for little treats else where! I know quite a few college students who could benefit from this .Thanks for the info! I will pass it along! Wish this existed when I was in college. This would've saved me a lot of money when I was in college. As long as the books were taken care of and no one mistreated them.